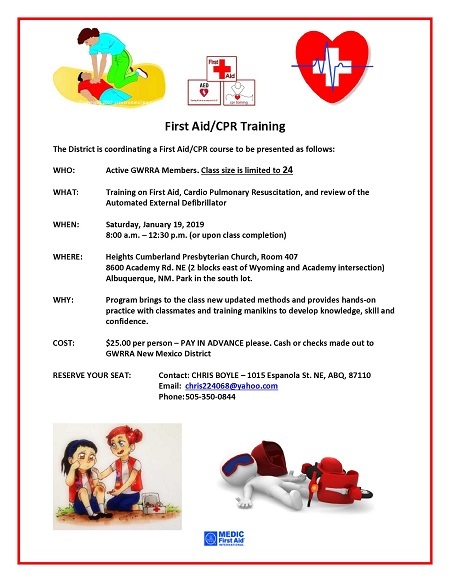 Program brings to the class new updated methods and provides hands-on practice with classmates and training manikins to develop knowledge, skill and confidence. $25.oo per person. Pay in advance please. 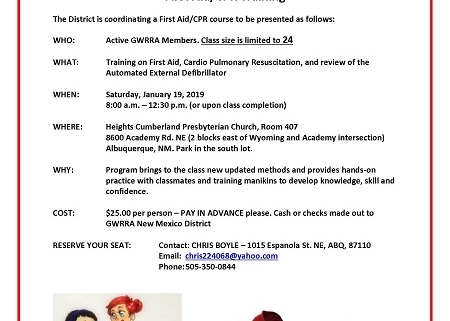 Cash or checks made out to GWRRA New Mexico District.